Melbourne, FL—A trial against the nation’s two largest tobacco companies for their alleged role in a Florida smoker’s death became the latest courtroom casualty of Hurricane Matthew Monday, as the judge in the case declared a mistrial following the storm. Wallace v. Philip Morris, 2014-CA-052862. Judge George Maxwell, of Florida’s 18th Circuit Court, declared the mistrial a week and a half after trial opened in Fontaine Wallace’s suit claiming a sweeping conspiracy by tobacco giants R.J. Reynolds and Philip Morris to hide the dangers of cigarettes caused her husband’s nicotine addiction and his eventual lung cancer death. The mistrial followed three days in which the Brevard County courthouse had been dark because of Hurricane Matthew. Judge Maxwell declared the court in recess last Wednesday and court facilities were closed Thursday and Friday for the storm, which pounded the county with winds topping 100 mph as it moved up the state’s coast. The storm, which is believed to have killed more than 1,000 people in Haiti, is responsible for at least 19 deaths in the U.S., including six in Florida. The three-day delay Matthew caused in the Wallace trial, combined with a crowded court docket, led to the mistrial declaration. The mistrial in Wallace is the second CVN-covered tobacco case scuttled by Matthew. 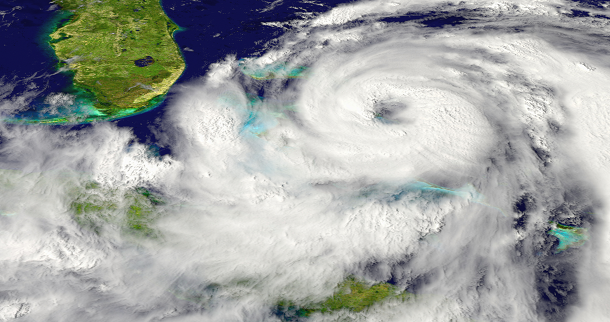 As the Category 4 storm approached the Florida coast, and with hurricane warnings in effect for the area, Judge Jose Rodriguez, of Florida’s 11th Circuit, in Miami, continued Martin v. Philip Morris, pushing the trial into 2017. The Wallace and Matthew cases are among thousands of similar claims that stem from Engle v. Liggett Group Inc., a Florida state court class-action lawsuit originally filed in 1994, in which jurors found for the plaintiffs. The high court later decertified the class, but ruled that cases may be tried individually. So-called Engle progeny plaintiffs are entitled to the benefit of the jury's findings in the original verdict, including the determination that tobacco companies placed a dangerous, addictive product on the market and hid the dangers of smoking, if they prove the smoker at the heart of a case suffered from nicotine addiction that was the legal cause of a smoking-related disease. The storm also spun delays for other CVN-covered cases. In West Palm Beach, courts were dark because of Matthew Thursday and Friday, delaying jury selection in Dadi v. Sharma, a medical malpractice case against South Florida psychiatrist Dr. Praturi Sharma over alleged negligence in electroshock therapy on a former cardiologist. Jury selection, which began September 26, is expected to resume on Tuesday. CVN will provide live gavel-to-gavel coverage of the trial when it begins. Court in another Engle progeny case, Konzelman v. Reynolds, remained in recess Monday due to juror issues, following two days of storm-related closure last week. Trial in that case, which opened last week ahead of Matthew's approach, is expected to resume Tuesday. Read more about the Wallace and Konzelman trials. Watch Wallace v. Philip Morris on demand. Watch Konzelman v. R.J. Reynolds live and on demand. Learn how you can watch CVN's unrivaled courtroom coverage featuring the biggest trials in Florida.